The wonderful invention of the telephone is the result of work done by a number of individuals, the history of which involves a collection of claims and counterclaims. The ultimate development of the modern electrical telephone involved a range of lawsuits founded upon the patent claims of quite a few individuals and a lot of companies. The invention history of the modern telephone starts in the year 1844 from the conception of the idea of an electric voice transmission device to the failed attempts to employ â€œmake and breakâ€ current, to successful research with electromagnetic telephones by Thomas Watson and Alexander Graham Bell, and finally to the commercially flourishing telephones towards the end of the 19th century. However, the telephone concept had its origin ever since the start of the human history! Man has unquestionably wanted to communicate from a far distance, for various purposes, trivial and vital. Ancient people used smoke signals, jungle drums, mirrors, carrier pigeons and semaphores to pass on a message from one place to another. Later, the concept of telephone was known for centuries in the form of string telephone or the â€œloverâ€™s telephoneâ€ that consisted of two diaphragms connected by a taut string or wire. In this set up, sound waves were carried as mechanical vibrations along the wire or string from one diaphragm to the other. A good example is the tin can telephone, used as a childrenâ€™s toy, made by connecting the two ends of a string to the bottoms of paper cups, metal cans, and the like. The main idea of this toy telephone was that a diaphragm can collect voice sounds from the air, as in the ear, and the string can transmit the collected voice sounds from a distance for reproducing the sounds. However, a telephone was something novel and innovative. It is said that Francis Bacon predicted the telephone device as early as 1627! But, his book â€œNew Utopiaâ€ had descriptions of merely a long speaking tube. It was obvious that a real telephone could not be invented until the electrical age began. The electrical principles required to construct a telephone were known in the year 1831 but there wasnâ€™t any real intervention until the year 1854. On the other hand, there was some activity going on in Germany. One precursor to the development of electromagnetic telephone originated in 1833 when Wilhelm Eduard Weber ad Carl Friedrich Gau invented an electromagnetic device to transmit telegraphic signals in Gottingen, Germany. This helped to create the basis for the technology that was later employed in related telecommunication devices. This invention is considered as the worldâ€™s first electromagnetic telegraph. In 1854, Bourseul suggested of transmitting voice electrically. Again, there was a lapse period of about 22 years; in 1876, the idea took shape. Until that, this amazing device was not even a dream!! It was in the 1870s that the two inventors Alexander Graham Bell and Elisha Gray independently designed devices that were capable to transmitting speech electrically, that is, the telephone. Both men rushed with their respective designs to the patent office within hours; it was Alexander Graham Bill that patented his telephone first. Both of them entered into a popular legal battle over who invented the telephone, and finally Bell won! 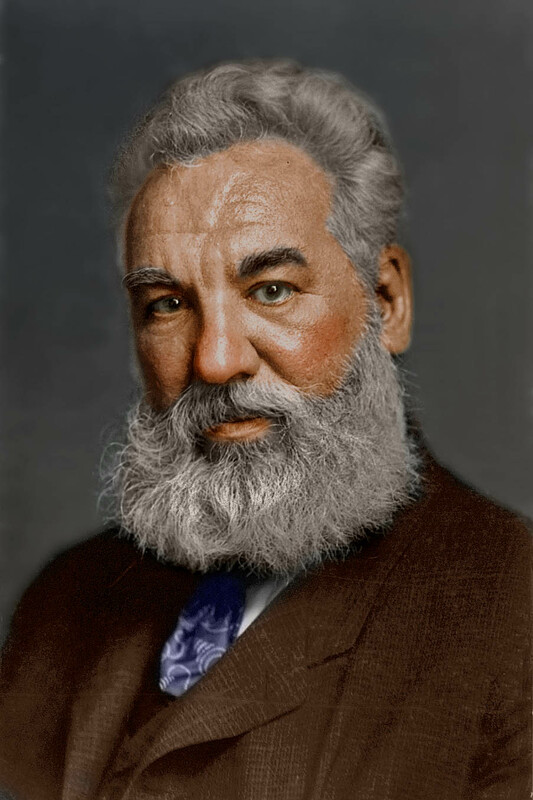 Born in 1847 in Edinburgh, Scotland, Alexander Graham Bell was the son and grandson of authorities in elocution and the correction of speech. He was educated to pursue a career in the same specialty; his knowledge of the nature of sound led him not only to teach the deaf, but also to invent the telephone. The telegraph and the telephone are both electrical systems based on the wire. Alexander Graham Bell was able to successfully invent the telephone as he was trying to improve the scopes and dimension of the telegraph. Â When Bell started experimenting with electrical signals, the telegraph had already been established as a means of communication for about 30 years. Though the telegraph was a successful system, it was basically limited to sending and receiving message, one at a time. It was the extensive knowledge of the nature of sound and his excellent understanding of music that enabled Bell to conjecture the possibility of transmitting multiple messages over the same wire and at the same time. Bell offered his own musical and harmonic approach as a possible practical solution although the idea of a multiple telegraph had existed for quite some time. His â€œharmonic telegraphâ€ was based on the concept that several notes could be sent simultaneously along the same wire provided the signals or notes differed in pitch. Â By October 1874, Bellâ€™s research progressed well and Bell eventually informed his future father-in-law, Gardiner Greene Hubbard, who was a Boston attorney, about the prospect of a multiple telegraph. Hubbard who was at that time in resent over the absolute control that was exerted by the Western Union Telegraph Company looked at this in high regard. He immediately saw the potential for breaking the control the telegraph company had on him and gave Bell all the financial support he required. Bell carried on his work on the multiple telegraph; however, he did not inform Hubbard that he along with Thomas Watson, a young talented electrician, were exploring an idea that had struck to him â€“ that of developing a device that would probably transmit speech electrically. With insistent and consistent urging of Hubbard and other backers, Alexander Graham Bell and Thomas Watson worked on the harmonic telegraph. It was during that span of time in March 1875 that Bell met Joseph Henry who was the director of the Smithsonian Institution. He listened eagerly to Bellâ€™s ideas for a telephone and rendered encouraging words and motivation. Highly motivated by Henryâ€™s positive opinion on the telephone concept, Bell and Watson continued their work with great zeal. By June 1875, the vision of developing a device that would transmit speech electrically was about to be realized. Both of them had proven that different tones would vary the strength of an electric current in a wire. All they required to achieve success was to build a working transmitter with a membrane that could vary electronic currents and a receiver that would probably reproduce these variations in audible frequencies. It was on the 2nd of June, 1875 that Bell discovered that he could hear sound over a wire! He called this technique â€œharmonic telegraph.â€ The sound that he heard was that of a twanging clock spring. The greatest success of Bell was achieved on March 10, 1876 that marked the birth of the telephone! The day was not only the birthday of the telephone but the death day of the multiple telegraph as well. The communications potential contained in his demonstration of being able to â€œtalk with electricityâ€ far outweighed anything that merely increasing the capability of a dot and dash system could imply. â€œMr. Watson, come here. I want to see youâ€ â€“ The first voice!! 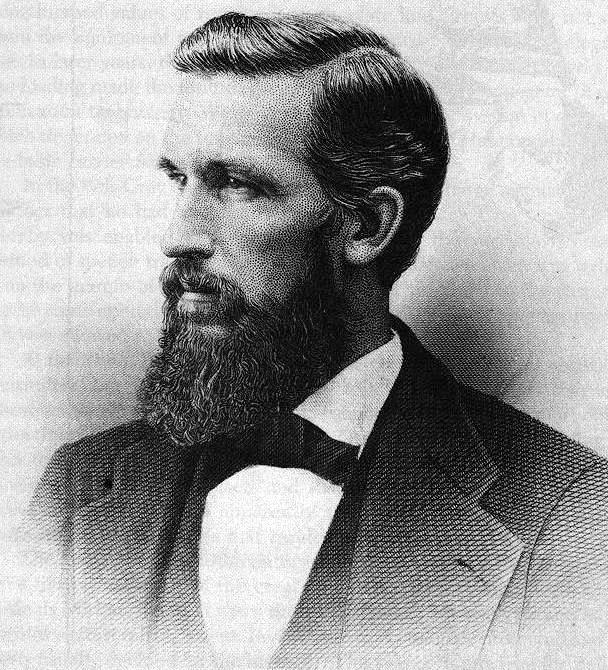 Elisha Gray of Illinois also devised a tone telegraph of the same type as Bellâ€™s and at about the same time as La Cour. Gray’s tone telegraph comprised of several vibrating steel reeds tuned to different frequencies interrupted the current, which at the other end of the line, passed through electromagnets and vibrated matching tuned steel reeds near the electromagnet poles. Gray’s ‘harmonic telegraph’ with vibrating reeds was employed by the Western Union Telegraph Company. As more than one set of vibration frequencies, that is to say, more than one musical tone, can be sent over the same wire simultaneously, the harmonic telegraph can be used as a ‘multiplex’ or many-ply telegraph that can convey several messages through the same wire at the same time. Each message can either be read by an operator by the sound or from different tones read by different operators or a permanent record can be made by the marks drawn on a ribbon of travelling paper by a Morse recorder. On the 27th of July, 1875, Gray was granted U.S. patent 166,096 for “Electric Telegraph for Transmitting Musical Tones” (the harmonic telegraph). On February 14, 1876, at the US Patent Office, Gray’s lawyer filed a patent caveat for a telephone on the very same day that Bell’s lawyer filed Bell’s patent application for a telephone. The water transmitter described in Gray’s caveat was remarkably similar to the experimental telephone transmitter tested by Bell on March 10, 1876; this fact raised questions about whether Bell (who knew of Gray) was inspired by Gray’s design or vice versa. Although Bell did not employ Gray’s water transmitter in later telephones, there is evidence suggesting that Bell’s lawyers may have obtained an unfair advantage over Gray.